John Russell has been confirmed as Greene County District 2 Commissioner by the Missouri Senate. He was appointed interim Commissioner on January 8 and has been a fully active and voting member of the Greene County Commission since then. 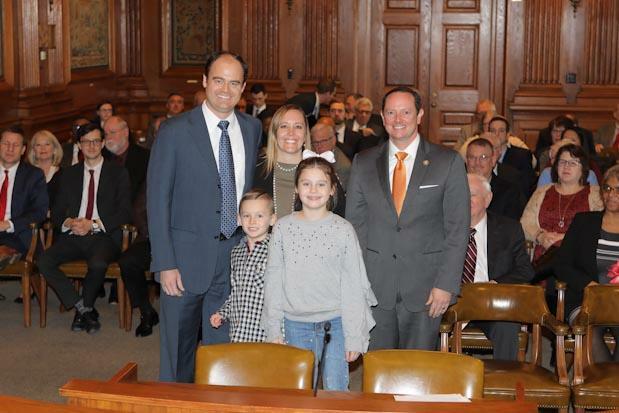 He fills the District 2 Commission position left vacant by Lincoln Hough who was elected to represent the Missouri Senate District 30. Russell will serve the remainder of that term, through December 31, 2020. Russell earned a degree in business administration from the University of Missouri. He served as the deputy chief of staff for former Governor Matt Blunt where he oversaw operations, as well as serving as the liaison between the governor and the Department of Economic Development, according to Greene County officials. Currently, he serves as the board president-elect for the Breast Cancer Foundation of the Ozarks.